Learn more about American Tubs on this page, or contact us today for more information! 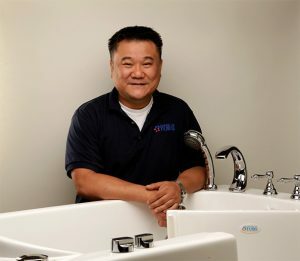 Owned and operated by CEO and President Vincent Lau, American Tubs opened its doors in City of Industry, California in 2012. Mr. Lau’s passion for helping others fueled his interest in walk-in tubs. He describes the company as a “happy business” that improves quality of life. The company’s products help seniors and people with mobility issues to maintain independence. With a walk-in bathtub, our customers can often delay or eliminate moving to a nursing home or simply enjoy an in-home spa like bathing experience in safety and comfort. Since 2012, the American Tubs production team has assembled and shipped thousands of customized walk-in bathtubs. Quick market penetration marked a significant milestone for the company, and the brand soon gained notoriety for its quality and service. Mr. Lau names the rapid acquisition of new dealers and a local TV commercial as other important milestones. The American Tubs dealer network consists of professional contractors with locations throughout the nation. These professionals provide quick, efficient installation and ongoing service. 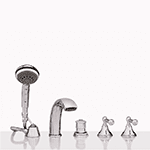 American Tubs requires dealers to adhere to strict standards of practice. Each new dealer goes through a thorough application process to validate their qualifications, license, and professionalism. 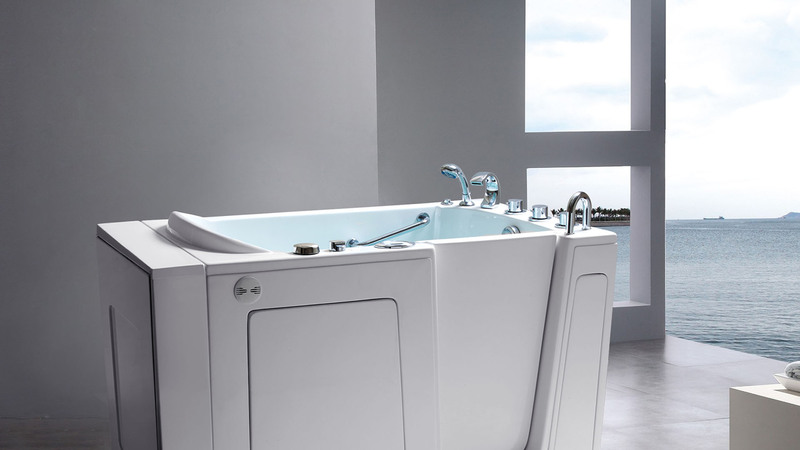 American Tubs is also known for innovative features that provide the best bathing experience possible. One example is the patented Hurry Drain® system. This system drains 3x faster than standard drains, allowing bathers to exit the tub quickly. Also in 2018, American Tubs opened a production facility in Grand Prairie, Texas. High demand in Eastern and Southern states prompted the opening. The new factory further positions the brand to better serve customers in nearby states. Today, American Tubs continues to serve the interests of seniors, those with mobility issues, and their families. With a solid record of success, the brand continues to grow and thrive. 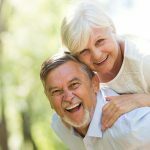 More seniors than ever now wish to age in place. American Tubs plans to further expand and innovate to meet this demand. The inspiration behind the design of every walk-in bathtub we make is luxury, safety, and functionality. Manufactured with top-quality materials, our tubs are constructed with marine-grade fiberglass and triple-gel-coated shells. The American Tubs production team uses advanced methods and meets strict quality guidelines. The result is a high-quality walk-in tub with a durable, high-gloss finish that’s easy to clean. Our trained quality professionals perform a variety of tests and a careful inspection of the frame, finish, and overall construction prior to shipment. Once approved by Quality Assurance, each tub is carefully packaged and shipped. Personalize your walk-in bathtub to your specific needs with our wide array of options. Are you looking for an in-home spa experience? At American Tubs, we build premium quality walk-in bathtubs. Our tubs are ideal for seniors and the disabled. These bathtubs also help those who simply want to relax in a soothing bath after a long day. Hydro and air jets offer an exhilarating experience anyone can enjoy. We also supply chromatherapy, aromatherapy, and many other complementary features. That means you can to customize your bathing experience according to your unique requirements. Simply select the features you want for your new walk-in bathtub. See below for further information on our various features. Discover the standard features and options available on each of our walk-in bathtubs. We customize your tub to your specifications! Learn more. We stand behind our products with ample warranty coverage. That includes a limited lifetime warranty on the door seal and finish of the tub. Learn more. American Tubs’ well-designed walk-in baths empower seniors and others to bathe independently at home. We seek to restore a sense of dignity and freedom to the elderly, disabled, and those with mobility issues. Our walk-in bathtubs offer the ultimate in accessibility and comfort. Each walk-in tub we sell is personalized to meet each customer’s individual needs. We offer models to fit most individuals as well as their bathrooms. When you shop with American Tubs, you can expect exceptional customer service. Our team of professionals offers years of experience in the industry, so we can help you discover which walk-in tub size is right for you. Our premium walk-in bathtubs are customized with the features and options you want. You experience the ultimate in comfort, security, and luxury – all in your own home. Contact us today to learn more! Why not get started on your purchase of a high-quality walk-in bathtub, now? View our frequently asked questions page for answers to common questions. Contact us now to get more information or to buy a new walk-in bath for your home! We have dealers nationwide! Find one near you today! We are here to help. Get in touch today to find the right walk-in bath for your home. Enjoy safer bathing – in your own home.